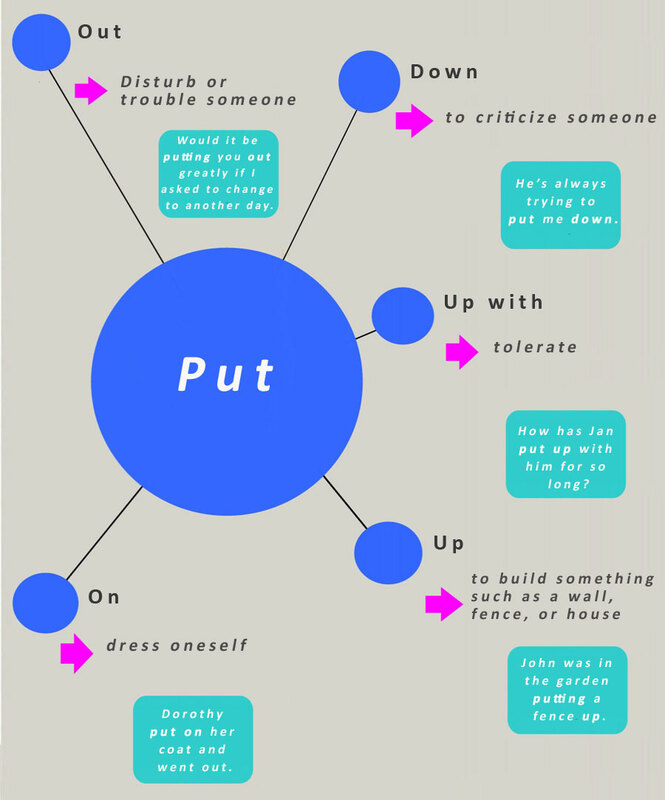 Phrasal verbs are usually two-word phrases consisting of verb + adverb or verb + preposition. 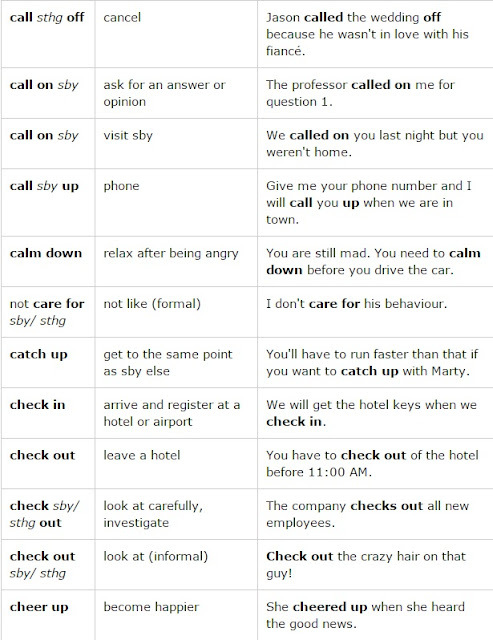 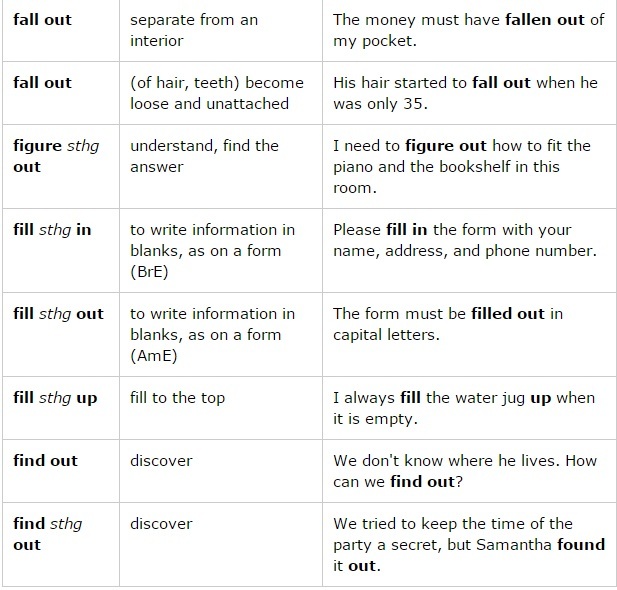 This list shows 200 common phrasal verbs, with meanings and examples. Only the most usual meanings are given. 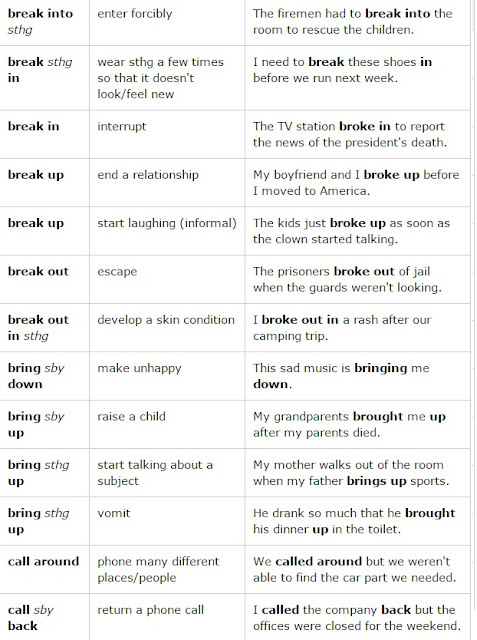 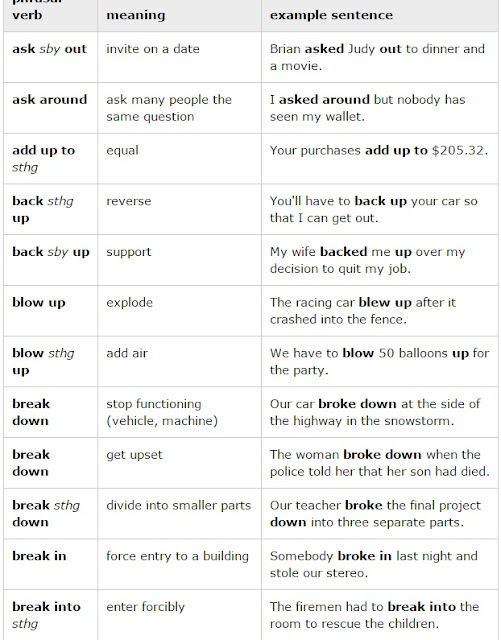 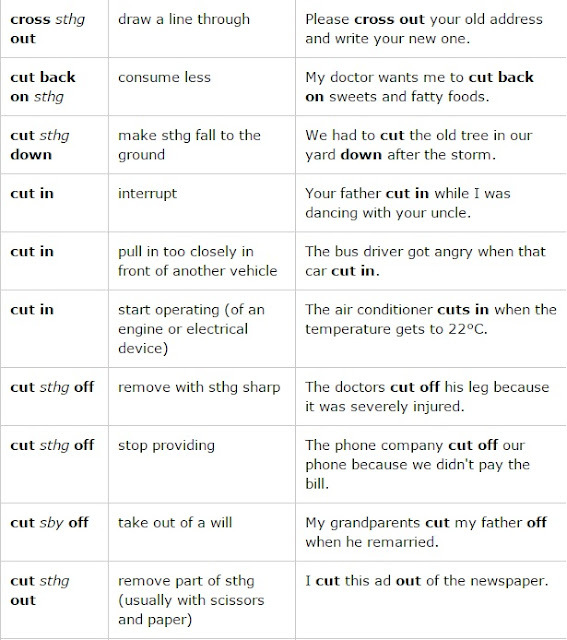 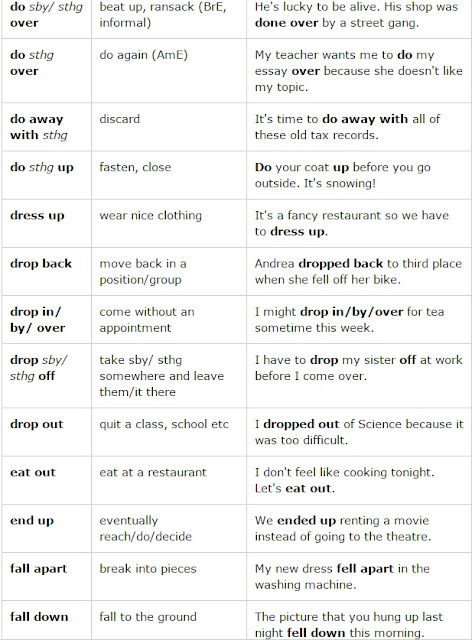 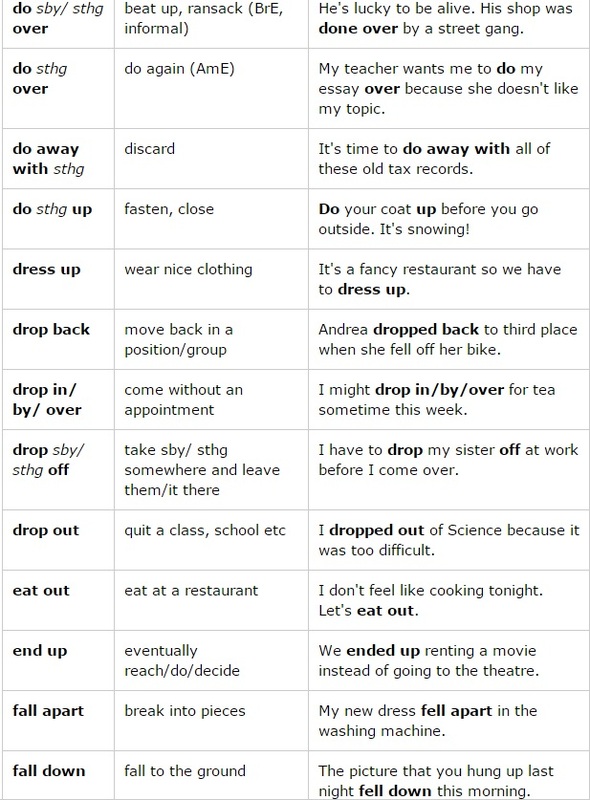 You can also see also our fuller list of 1000 phrasal verbs here.